Camping "Kate", is a small family-run camping grounded surrounded by old cypresses and various subtropical trees and plants, located just 8 km south of the old town Dubrovnik. 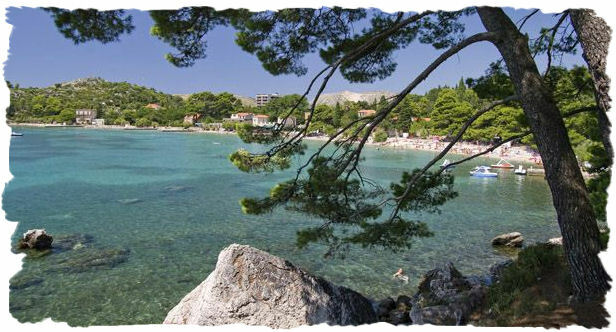 Placed at the foothills of the steep mountain Malasnica, you will enjoy splendid views of the blue bay with its scattered islands or just descend bellow into a charming seaside village of Mlini (which derives from the word „mills“). This little port village, rich with old mill-houses, churches and lush gardens, surrounds itself with some of the nicest Dubrovnik riviera beaches. From there you can enjoy the lovely boat ride to Dubrovnik or Cavtat and replace the everyday traffic with beautiful island and seaside views. We offer two modern sanitary facilities, one on each level. Our camping ground houses solar panel technology for hot water purposes and has its own recycling project. We keep it clean and friendly so your long or short stay with us will be more pleasant. Our friendly staff will help you with all the questions. We have information for numerous excursions and activities in the area. Scuba diving, horseback riding, island excursions, gourmet tips are just a few. Just ask! You may also get tickets and time table for the boat rides to Dubrovnik and Cavtat.